The heirloom seeds arrive in glass jars, plastic bags, and flower-embossed envelopes. They come by the dozens and hundreds. It’s what Lindsey Giglio hoped would happen when her organization, Blue Ridge Women in Agriculture, partnered with the Watauga County Public Library in Boone to open a seed library. What she didn’t expect were the stories. Those are delivered in the fragile script of a grandmother’s hand and the smudged ink of farm workers’ fingers, remembrances of the people who are helping build the Watauga Seed Library. The collection is housed in a repurposed card catalog next to the circulation desk, where patrons can borrow up to 10 seed packets for the growing season with a promise to return the new generation. Seed saving has been part of human history for thousands of years, and it’s ingrained in Appalachia’s cultural heritage. 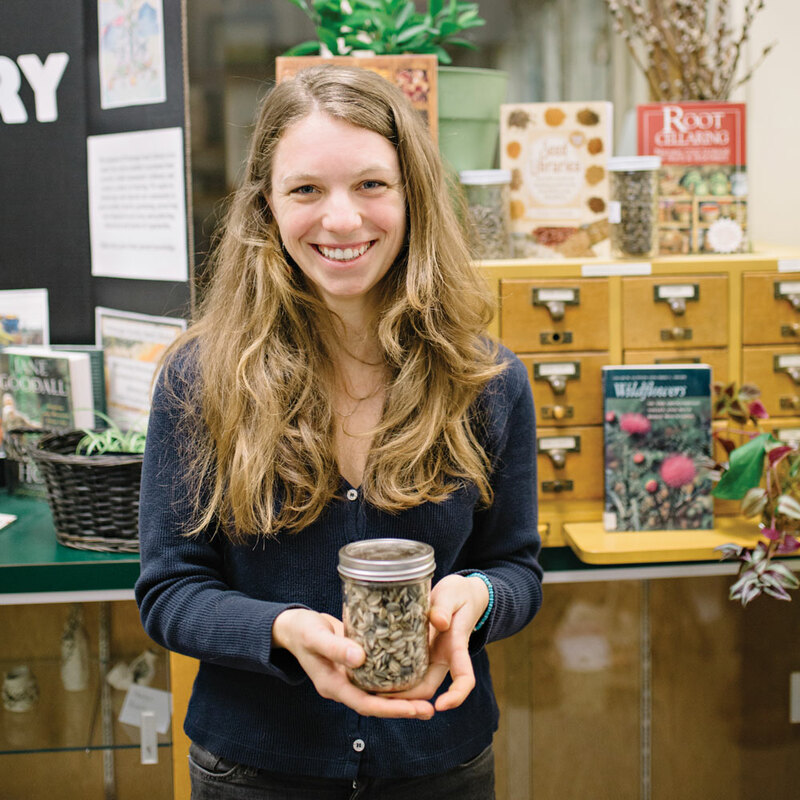 Sharing was once a neighborly hand-to-hand ritual, but the seed library is cultivating new participants in an old tradition. After opening the Watauga Seed Library, Giglio’s organization partnered with Cooperative Extension Services to open a second one at the Ashe County Public Library. A third seed library, in Caldwell County, was inspired by the High Country efforts, and the idea is trending with local libraries in McDowell, Mecklenburg, Rockingham, Durham, Nash, and Carteret counties, among others. What thrives in one region of North Carolina won’t necessarily grow well in another. It’s part of what makes the concept so meaningful. As recently as 1900, human food came from 1,500 different plants, representing thousands of varieties suited to particular places. Today, 75 percent of our nutrition comes from 10 species of plants. The industrialization of agriculture has eroded diversity, with crops designed for volume and travel rather than taste. As a whole, the United States has lost more than 90 percent of the heirloom vegetable varieties that were available at the turn of the 20th century. Seed libraries attempt to fix this. Since founding the seed library a year ago, Giglio has learned that certain families have signature beans of unique taste and character. 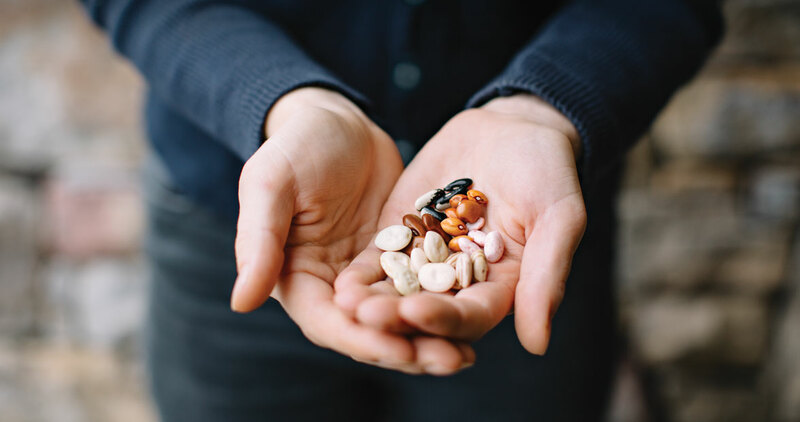 Often, these heirloom seeds — open-pollinated, rather than bred — are handed down with origin stories. One of her favorites was passed on by Yancey County resident Jim Veteto, along with a collection of Turkey Craw Beans. When Veteto collected them, he heard the same story over and over: My great-grandfather went out hunting. When he brought a wild turkey home for dinner, he found beans in its craw. He planted them, cooked them, and they were delicious, so he kept on growing them. Each seed library has its own way of organizing. In Ashe County, librarians are in charge, and donations are presented in alphabetical order. In Watauga County, under Giglio’s watch, they’re grouped by plant families, with hand-illustrated cards and section headers that she painstakingly pecked on a typewriter.